Licenses go on sale Thursday for one of the more unique species you can fish for in Iowa. DNR fisheries biologist, Ryan Hupfeld says the licenses for the Missouri and Big Sioux River paddlefish seasons go on sale December 15th. 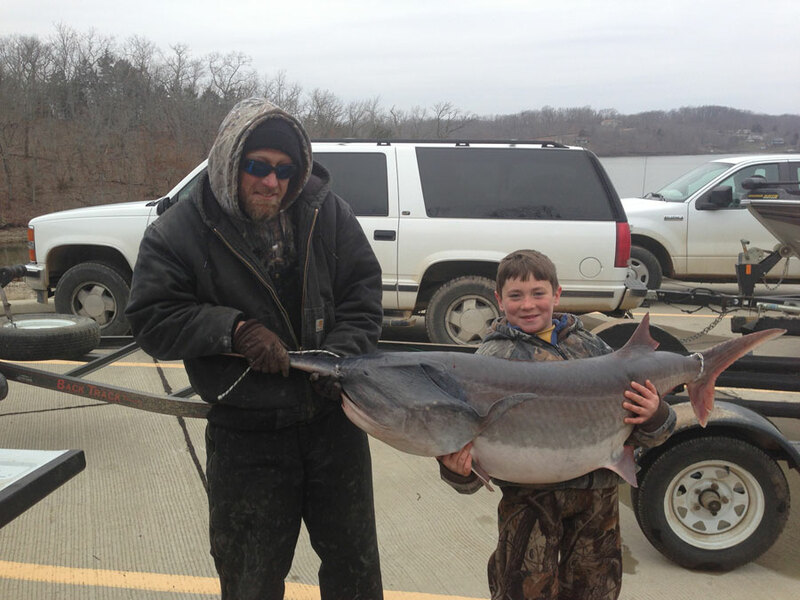 “Each angler can receive one paddlefish license and tag. There’s 950 resident tags available and 50 nonresidents available,” Hupfeld days. The season opens March 1st and runs through April 15th. The paddlefish season was closed in 1986 after the numbers got to low, but was reopened in 2015 when surveys found the fish population had increased. Hupfeld says they have size limits that help protect the population. He says the 35 to 45 inch limit protects the primary breeding fish, so he says the season does not have a negative impact on the population. You can’t just put a worm on a hook and drop it in to catch a paddlefish. “They feed on plankton…so you have to use a snagging hook to do that. So, it can be more difficult, ” Hupfeld says. “If the water temperature is colder they may be stacked in these overwintering holes, so you may be able to target them in those areas and have more success.” He says most of the people who get Iowa licenses to snag the paddlefish come from Iowa and Nebraska, with some from the Dakotas. They usually eat their catch. “They’re a very good fish to eat, very healthy, it’s a white flesh,” Hupfeld. He says one thing you need to do to prepare the fish is remove the red meat from their along their skin that is there to help them migrate. “If you remove that red meat it kind of removes the fishy or pungent taste. So, be sure to remove the red meat and they are very good to eat.” Hupfeld expects good conditions when the season opens. He says the river system is fairly low right now and the Corps may release some more water, but that would only raise the levels to near normal. Hupfeld is in his first year of managing the paddlefish and is excited by the opportunity. “It’s a very unusual looking fish — a prehistoric fish — it’s a very neat fish to study and work on and to catch as an angler,” Hupfeld says. The paddlefish have a long flat paddle on their front. You can get a license for paddlefishing through the Iowa Department of Natural Resources. The licenses will be sold from December 15th through January 31st.